How Do You Stop People From Upsetting You? "When we relax, we let go. When we let God, we spontaneously live in the intuitive nature. And the Spirit comes in and guides us.” In this seminar John-Roger explains how to master any problem you may encounter in life. The bottom line? Be calm and relax. "And the only thing that’ll be left after you get through is the pure, unadulterated form that you are, that you’ve been praying for, that you’ve been scheming for all these existences. 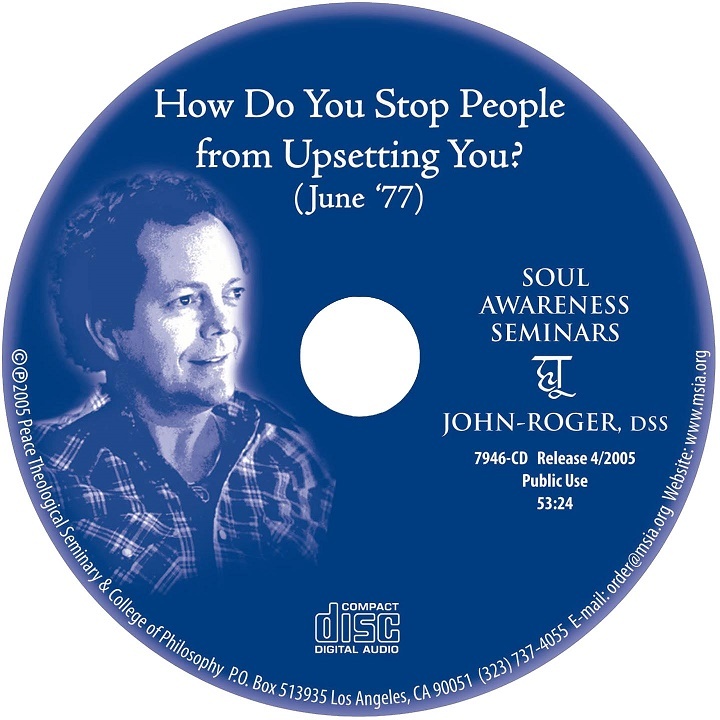 It can be presented to you, if you will give up that that would destroy you.” John-Roger describes simple actions to take step-by-step, with his profound joy and enlightenment.